Very short post today, as I prepare to attend SIHH 2013. I leave for Geneva tomorrow, so need to spend some time ensuring all preparations...camera gear etc are in place for the great show. Plus it is supposed to be extra cold this year...But today' post is a wrist shot of one of the most beautiful watches I have seen...the Jaeger LeCoultre GyroTourbillon 2. 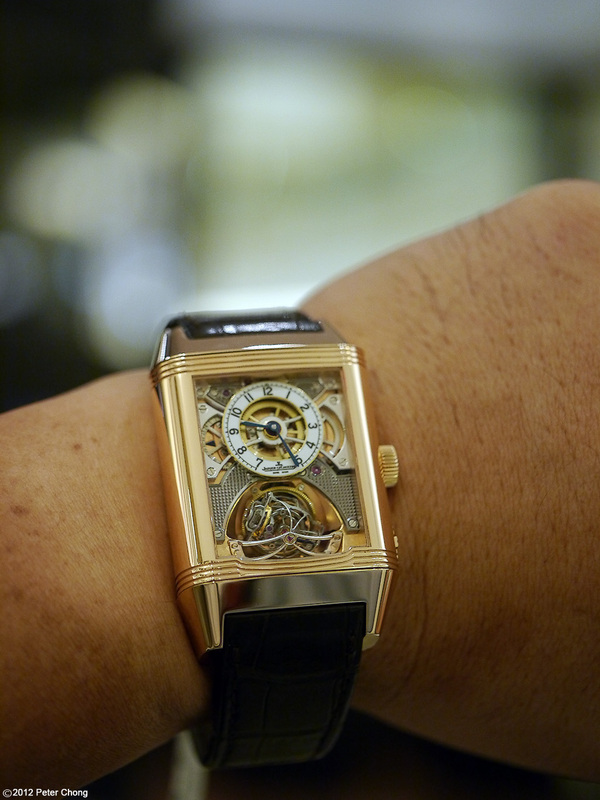 Magnificent gyrotourbillon in a reverso case. Rose gold. On my wrist. Beautiful.